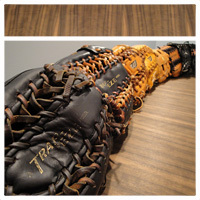 So I racked my brain to try and uncover two more gloves that made an appearance during my college days. After flipping my apartment on its head, I managed to uncover two unique additions in my assortment. 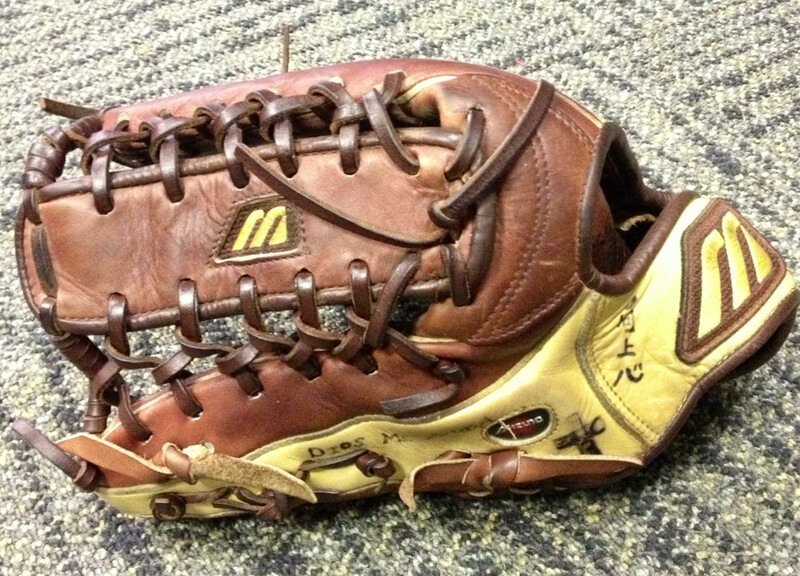 First, feast your eyes on probably THE most poorly executed glove technology idea invented. 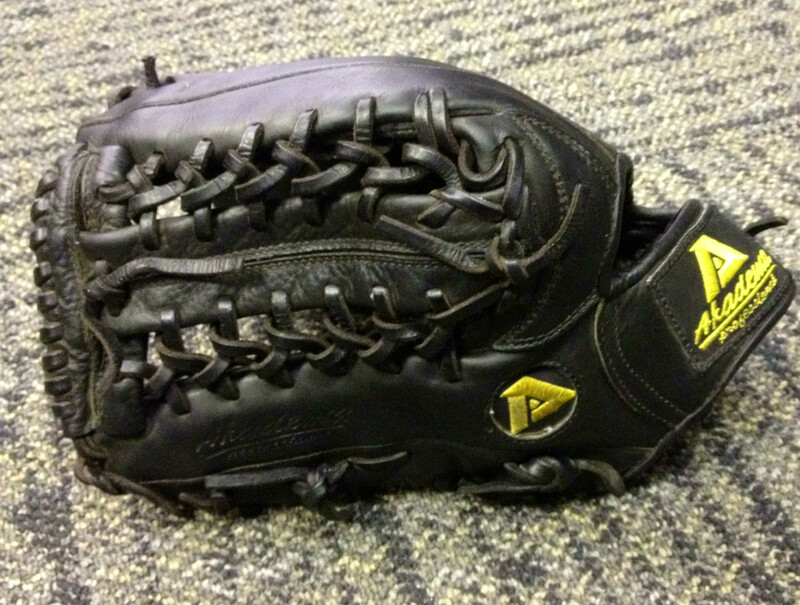 The Akadema AXX 21 Reptilian Claw [url](http://baseballtips.com/akadema/reptilian.html)[/url] intrigued me when I first saw it. 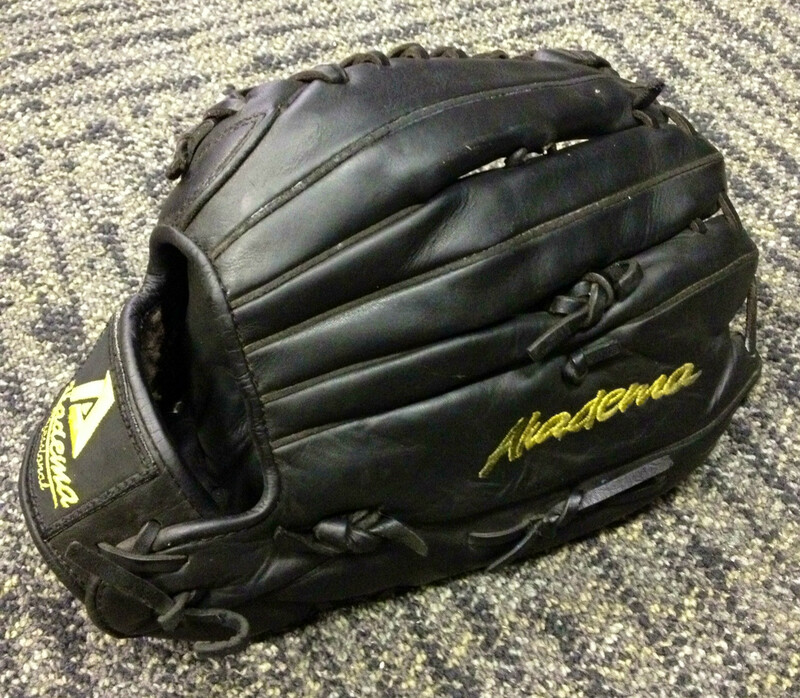 Akadema was a newer brand at the time (2003) and the premise behind the technology made sense to me as a "three in the pink" shifting outfielder. 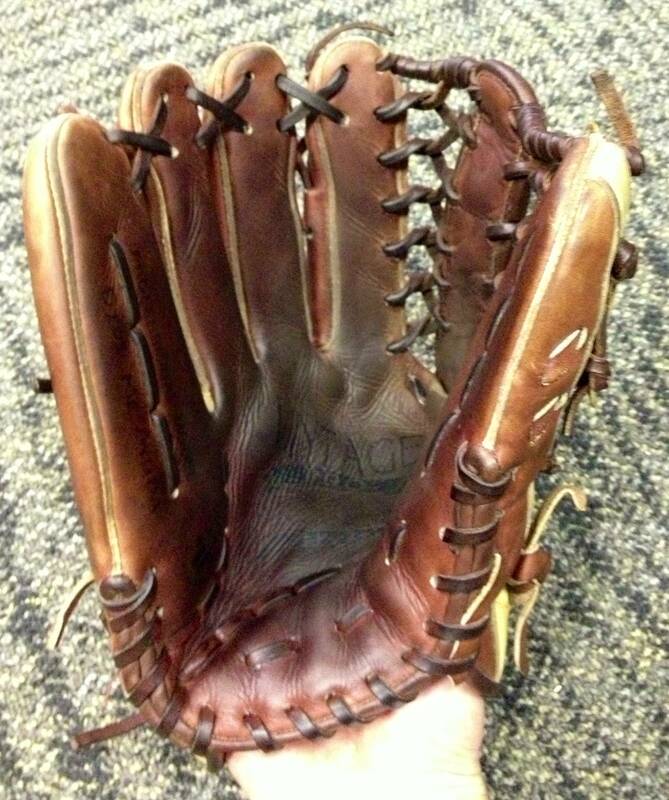 Problem: it weighs the same as a catcher's mitt. It is an absolute brick but it definitely creates the deepest pocket I have ever seen. The thickness of the claw portion itself is excessive. I would have loved if they just blanked the finger stalls and kept the same lining thickness. Would have served the same function and been lightweight. 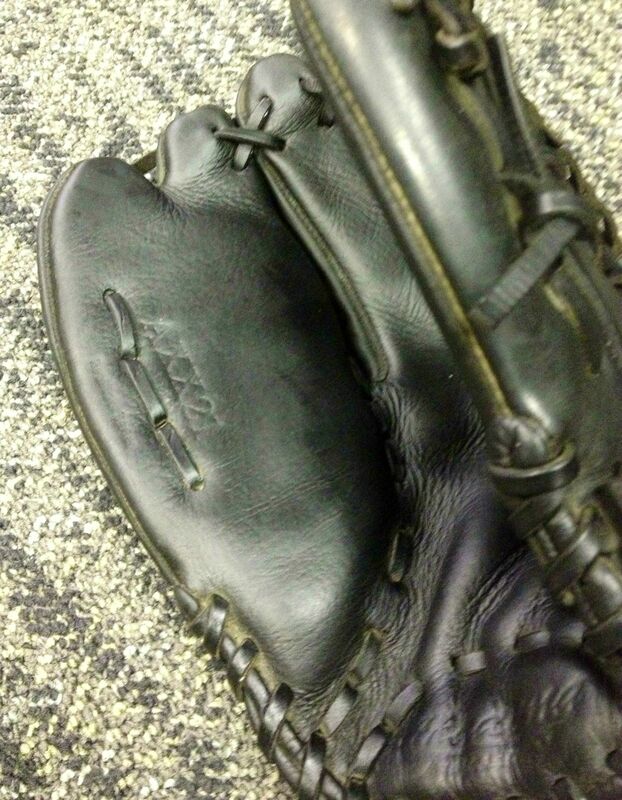 I actually crack up I gave this glove a shot but smart players always look for an edge and increased performance. 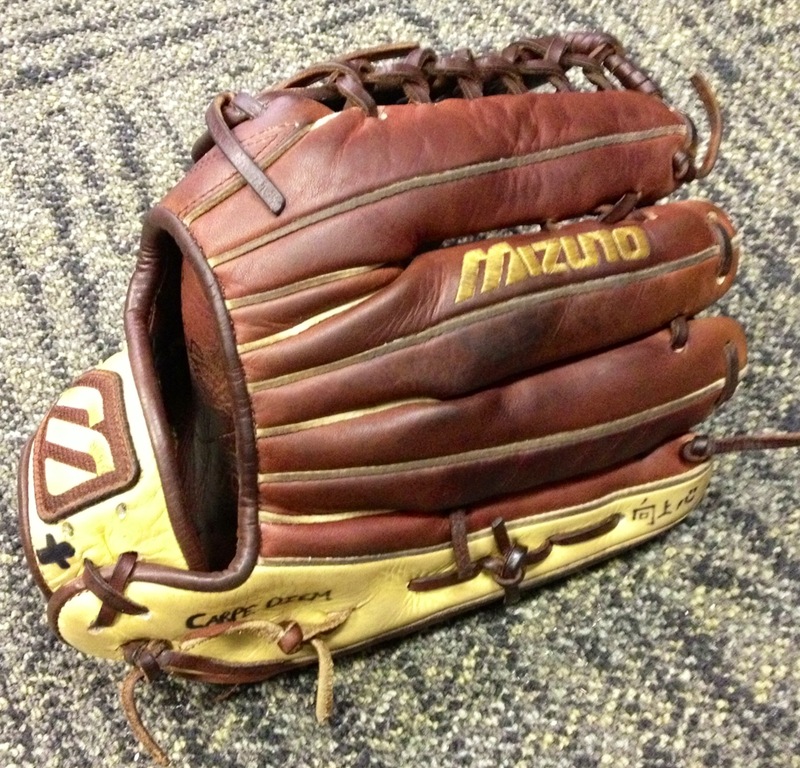 This was my first taste of a Mizuno glove and I fell in love with the color way. It matched my team colors and the weight was perfect! 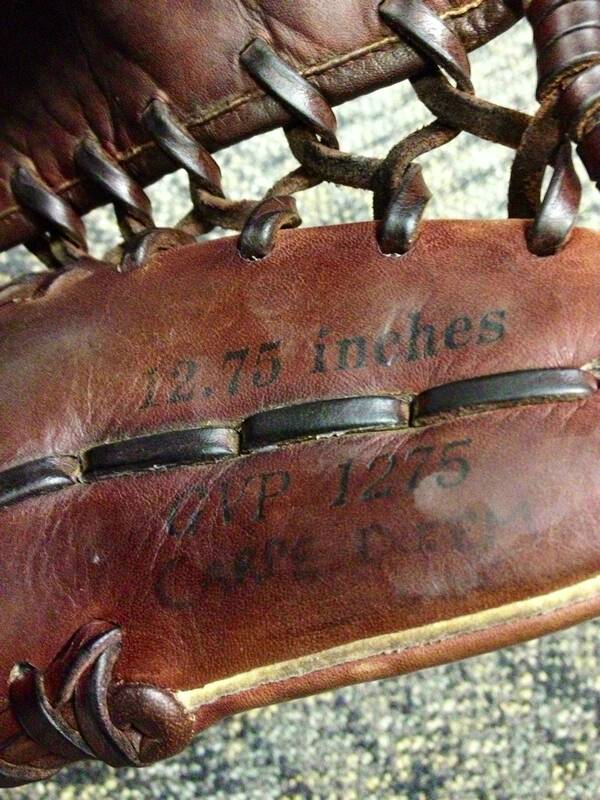 Though it says it is 12.75", it is more of a 12.5". I'm not a fan of the Asian-style lace reinforced/wrapped T-Web but wasn't a deal breaker. 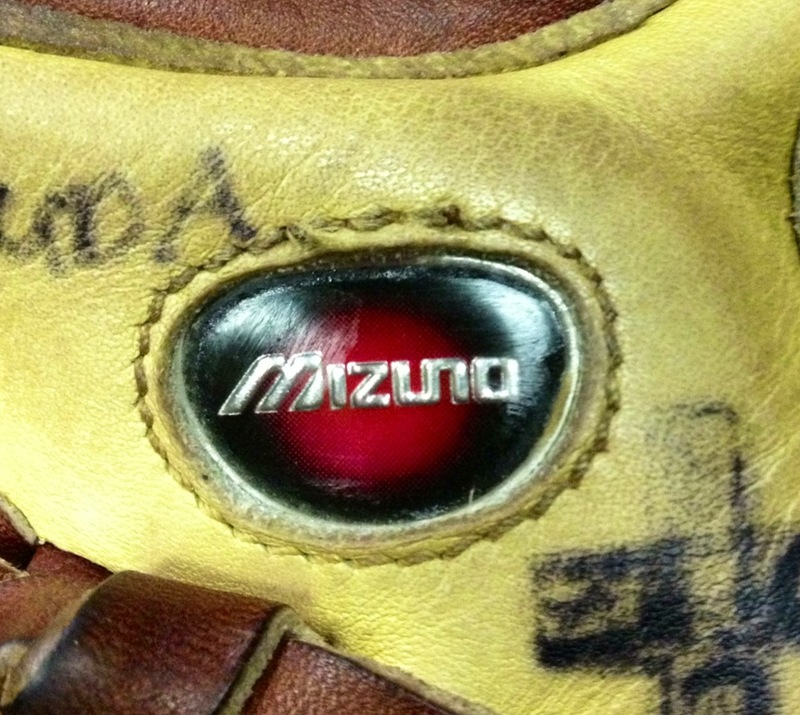 Coolest feature of this glove is the silicone jewel embedded logo. 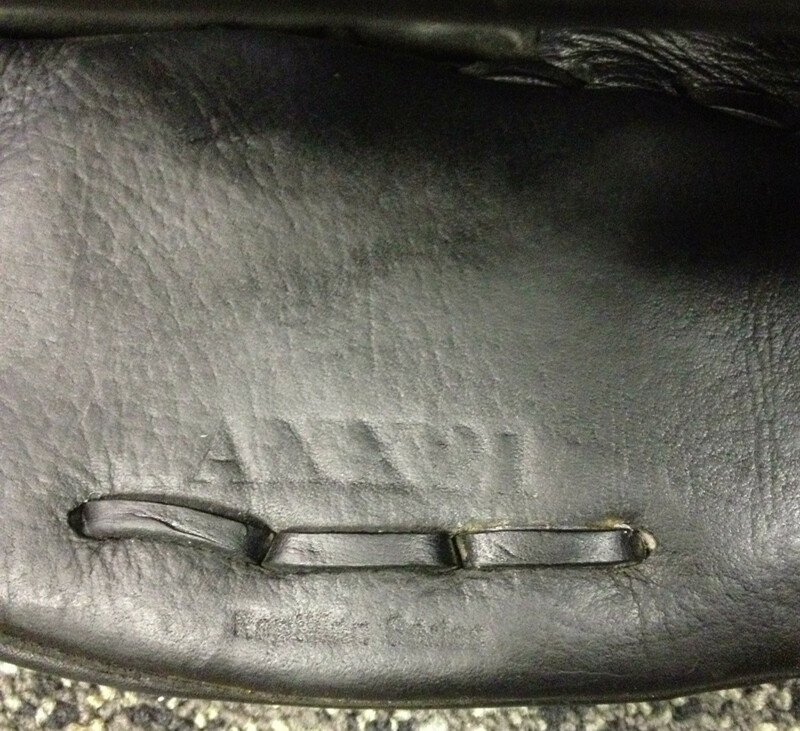 Most gloves on the market use fabric sewn or stamped indents. Nike dabbles in cooler logo treatments. This method was ahead of its time. Again, nice pics and info. I like the idea of that Akadema. And the Mizzy you have was pretty nice for the level glove it was. Could be had for well under $100 and lasted fairly well. I hate those Marble-looking logos though.